The program proper is scheduled on 12-19 September, 2017 in Tokyo, Japan. NYC will be nominating 19 students. FOR ONLINE APPLICATIONS: Submit documents to smd.internationalprograms@gmail.com (with Subject Heading: APPLICATION FOR JENESYS2017 Batch 1). Deadline for submission is 12 MN / July 16, 2017. 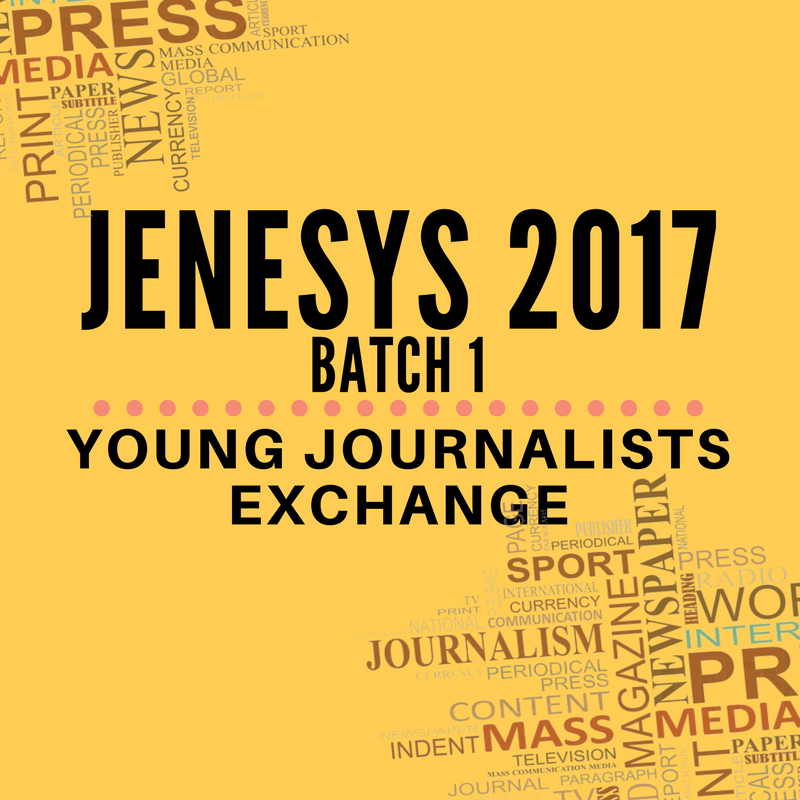 Please send all queries to smd.internationalprograms@gmail.com with subject heading “Query: JENESYS2017 Batch 1”. Please get in touch with the NYC International Programs Secretariat through Ms Sarah Grutas or Mr. Mark Fernandez at telephone numbers (02) 426-8733.